Ideal for cleaning in kitchens, bathrooms, the car and some clothing, the Prolectrix 10 in 1 Steam Cleaner is the perfect accessory for your home. 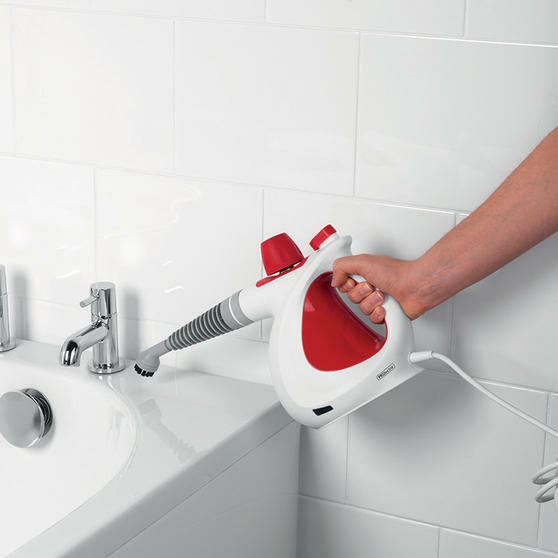 Requiring no chemical or detergents, this 1000W steam cleaner quickly removes dirt and grime whilst sanitising your surfaces. 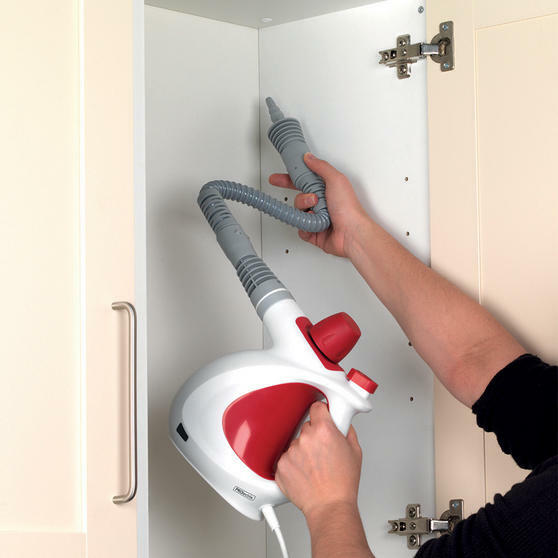 Ready when you are, achieving a powerful and efficient clean couldn’t be easier thanks to the 10 available functions, fast heat up time of 3 minutes, 250ml capacity and generous 5 metre cable. 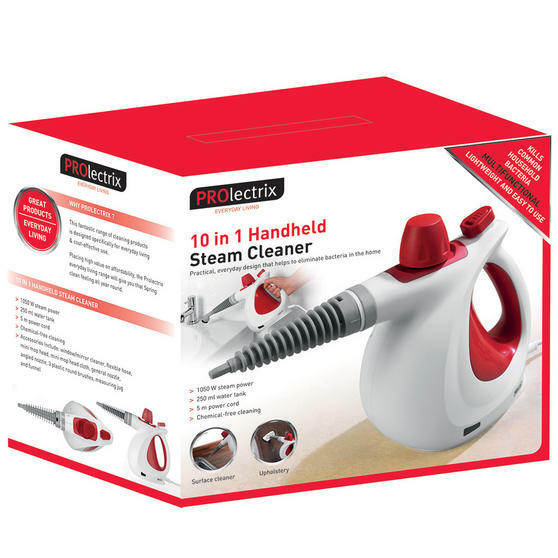 Achieve a powerful, sterilising clean without the need for chemical detergents with the Prolectrix 1000W 10 in 1 Steam Cleaner. 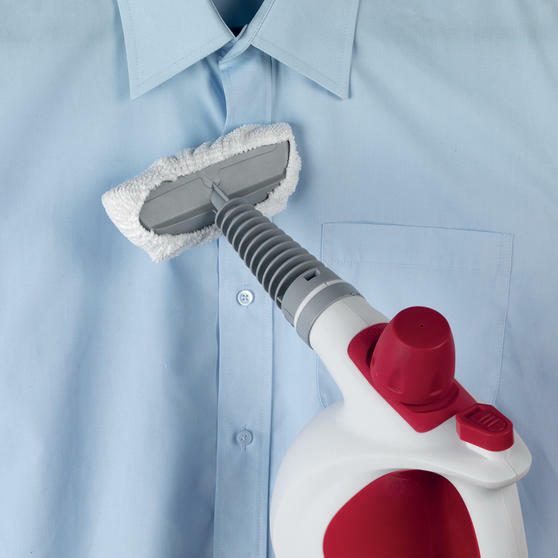 Easily remove dirt, grime, streaks and burnt on grease throughout your home, be it in the kitchen, bathroom, garage or more. 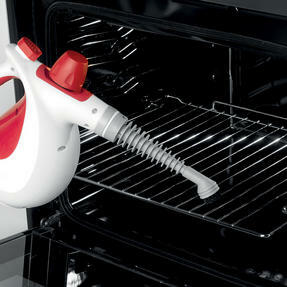 With a super quick heat up time of 3 minutes and a 250 ml capacity, this multifunctional steam cleaner is ready to go when you are. 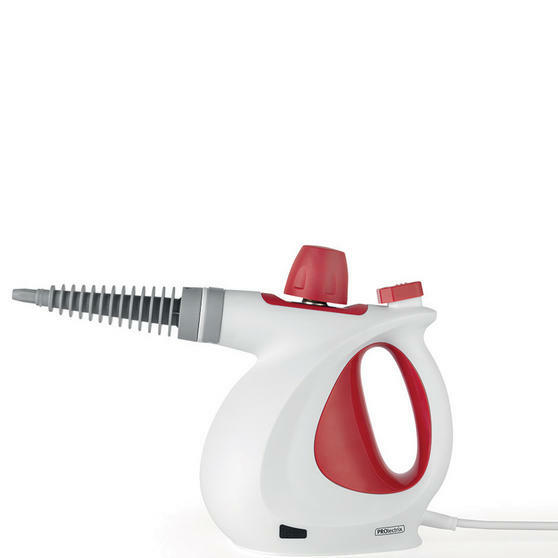 With a 5 metre power cord, this steam cleaner cleans further without unplugging and it is great for reaching outside to clean the car. 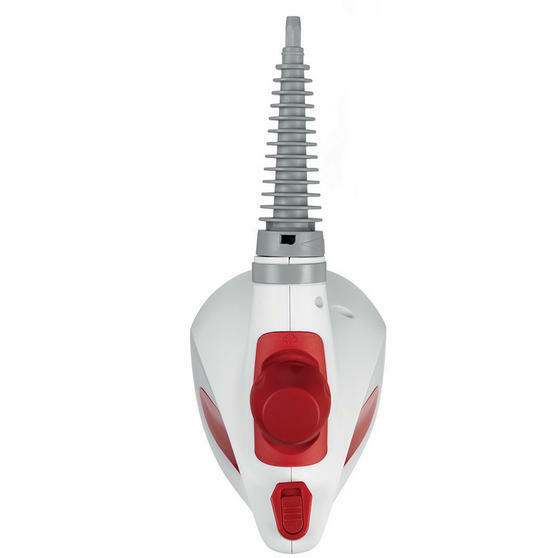 Accessories included: glass cleaner, round nylon brushes, fabric nozzle, jet nozzle, towel cloth, angled nozzle and a 55 cm flex hose.